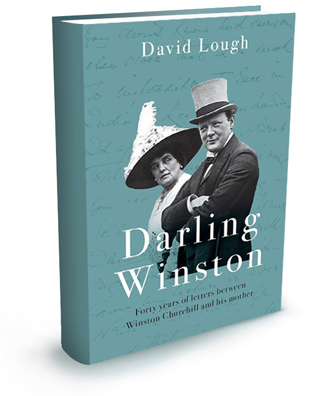 David Lough’s second book, Darling Winston – Forty years of Letters between Winston Churchill and hisMother (known in the USA and Canada as My Darling Winston) heads the Daily Mail‘s list of 2018 Books of the Year: Letters and Dairies. David returned to history after a career spent in private banking. His first book, No More Champagne – Churchill and His Money, used his career’s experience to piece together the largely unknown story of Churchill’s chaotic personal finances. In doing so, a critic acknowledged that he had ‘brilliantly illuminated’ a new, more human picture of Britain’s iconic wartime leader. The Times, Wall Street Journal, Daily Mail and Guardian listed No More Champagne among their ‘books of the year’ for 2015 and it was shortlisted for the Longman-History Today Book of the Year Prize 2016. Order copies of David’s books here (signed and with a special dedication) or find out more about David’s background and his schedule of events.